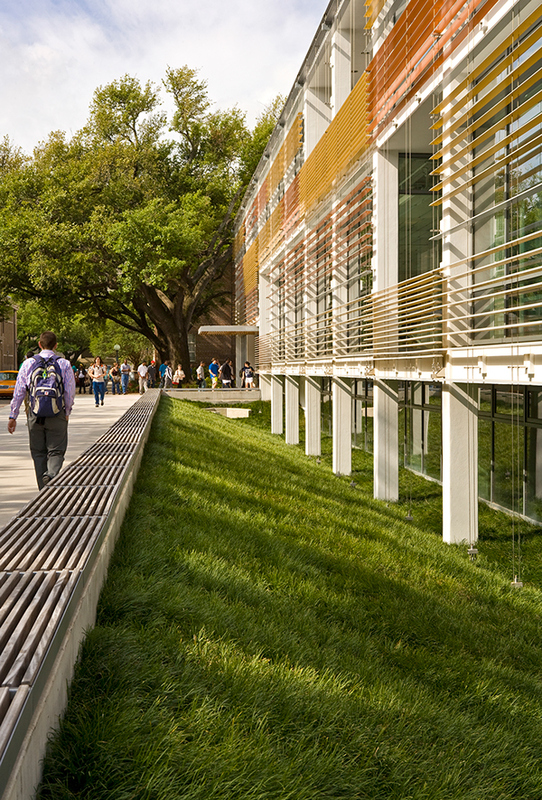 The Lavin Bernick Center at Tulane University includes the design of a pocket park and plaza connected to the redesign and expansion of the student center by Vincent James Associates Architects (VJAA). 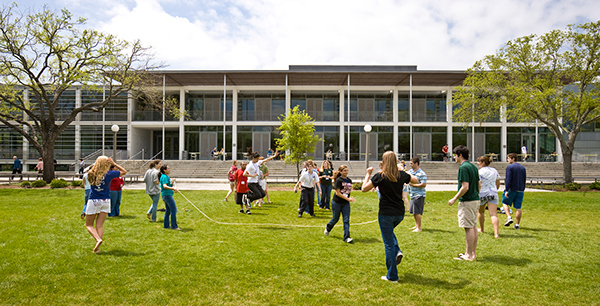 Coen + Partners intent for the exterior landscape surrounding the Center was to create a vibrant heart for campus life by reprogramming and reconnecting the interior spaces of the building to the exterior while successfully knitting the site into the existing campus fabric. 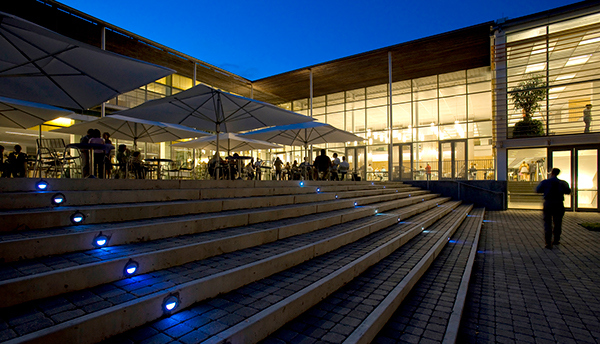 The architecture and landscape had to work as one cohesive unit. Research into the vernacular of New Orleans helped to prescribe a series of precepts for the landscape design. The lushness of the semi-tropical New Orleans climate is expressed through refined form and texture. 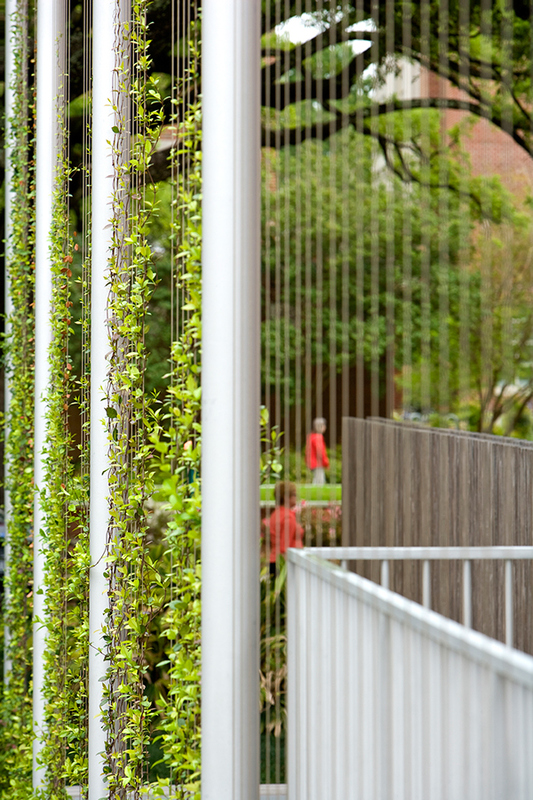 Vertical planes of climbing vines from the building into the surrounding landscape through the creation of custom vine screens. The insertions create soft divisions between passive and active spaces, providing filtered privacy for adjacent reading areas and variable levels of shading to help mediate extreme shifts of solar gain. 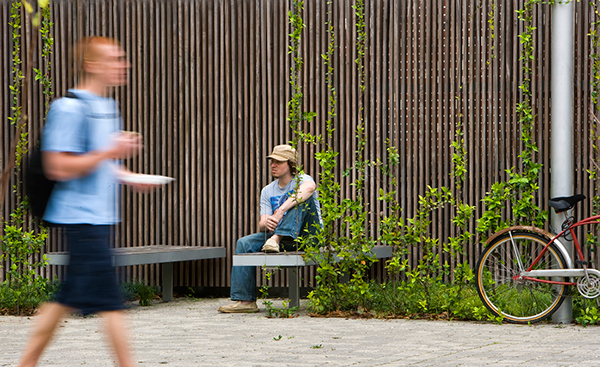 The vines become a focal point for the pocket park and are an innovative solution for introducing native plants into the compact space. 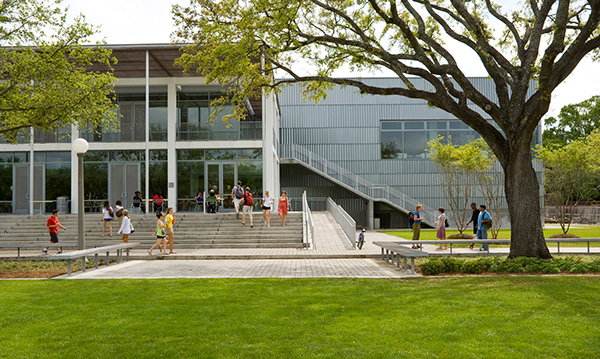 The Lavin Bernick Center at Tulane University includes the design of a pocket park and plaza connected to the redesign and expansion of the student center by Vincent James Associates Architects (VJAA). 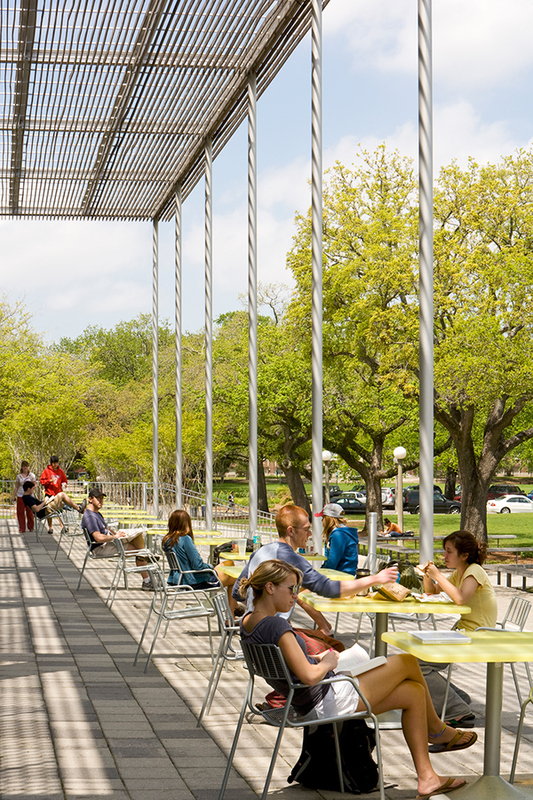 Coen + Partners intent for the exterior landscape surrounding the Center was to create a vibrant heart for campus life by reprogramming and reconnecting the interior spaces of the building to the exterior while successfully knitting the site into the existing campus fabric. 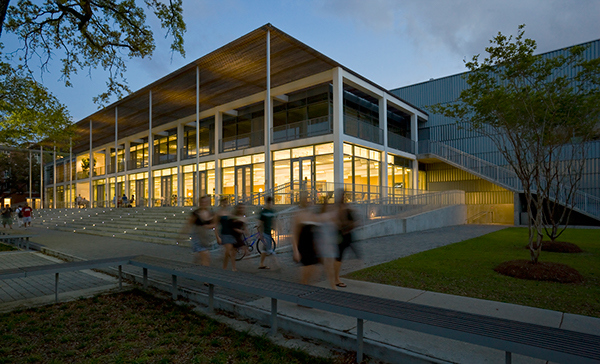 The architecture and landscape had to work as one cohesive unit. Research into the vernacular of New Orleans helped to prescribe a series of precepts for the landscape design. The lushness of the semi-tropical New Orleans climate is expressed through refined form and texture. Vertical planes of climbing vines from the building into the surrounding landscape through the creation of custom vine screens. 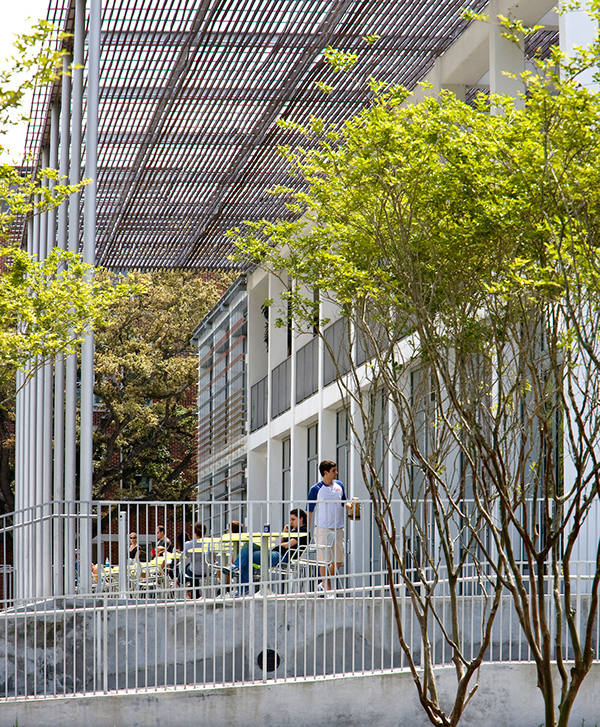 The insertions create soft divisions between passive and active spaces, providing filtered privacy for adjacent reading areas and variable levels of shading to help mediate extreme shifts of solar gain. The vines become a focal point for the pocket park and are an innovative solution for introducing native plants into the compact space.